Cloud computing is a rapidly evolving area of distributed computing that has significantly changed the way e-business functions are performed. Cloud computing is proven to be an application enabler technology, as several new applications are being developed. These applications vary in size and scale of enterprise for which they are developed. Cloud computing provides solutions for enterprises of all sizes. Almost every commercial application is either migrated to or a candidate of migration on the cloud. Generally, the users of such applications face a big problem before their migration as a number of choices exist for cloud service models, cloud deployment models, and cloud service providers. 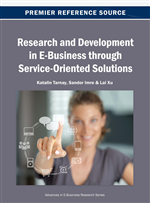 This chapter presents a roadmap towards successful cloud implementation for enterprises of various scales. A parameter based approach is presented for (1) selection of the service model out of three major service models on cloud, (2) selection of a deployment model from among the four deployment models and (3) selection of a cloud service provider. A number of parameters must be considered for selecting cloud service model, cloud deployment model, and cloud service providers. These parameters are security measures, standardization of technology, service level agreement, reliability, location of data, regularity compliance, integration, and migration to name a few. According to Armburst et al. (2009), the top ten obstacles to cloud computing are availability of service, data lock-in, data confidentiality and auditability, data transfer bottlenecks, performance unpredictability, scalable storage, bugs in large distributed systems, scaling quickly, reputation fate sharing, and software licensing. They have also mentioned that opportunities are exists to overcome these obstacles, these opportunities are great guidelines for the cloud service providers to proceed.